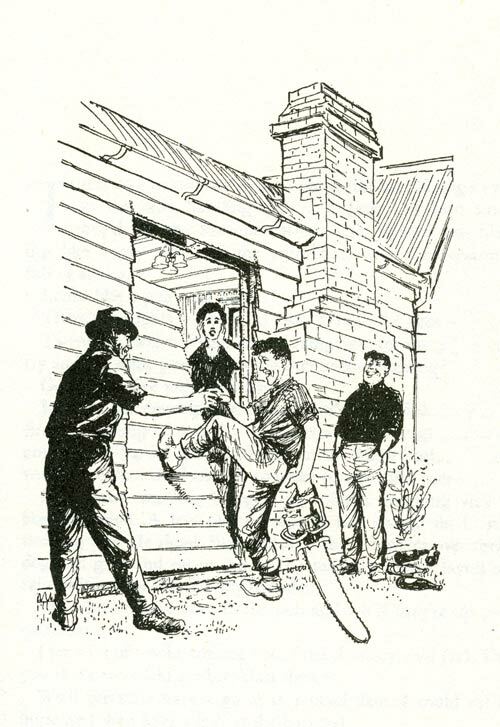 This illustration by Dennis Knight Turner comes from classic Kiwi humorist Barry Crump's 1961 novel Hang on a minute, mate. The book typifies the larrikin, yarn-spinning strand of New Zealand humour. Hang on a minute, mate was filmed for television in 1982.